Every time you publish an article, blog post or in my case, a podcast, your aim is for that piece of content to be better than the last one, right? 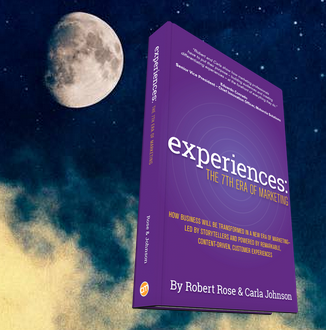 “It’s the entire experience that matters”, a quote from a recent article written by Carla Johnson titled, ‘Design Experiences, Not Content’. Carla is a B2B Consultant at Type A Communications, a consultancy she owns, and is also co-author of the recently published book, ‘Experiences: The 7th Era of Marketing’. She’ll also be speaking at Content Marketing World next week on Thursday, September 10th. Her article, it’s a short read, but the idea is that the experience a customer receives from a brand should be not about individual pieces of content, it’s about the overall experience that’s delivered. Carla talks about that and also shares a wonderful story to begin the podcast and a special guest stops by for a take of his own. It’s our featured article of the day, so tap that play button right now on this episode of your A Slice a Day.